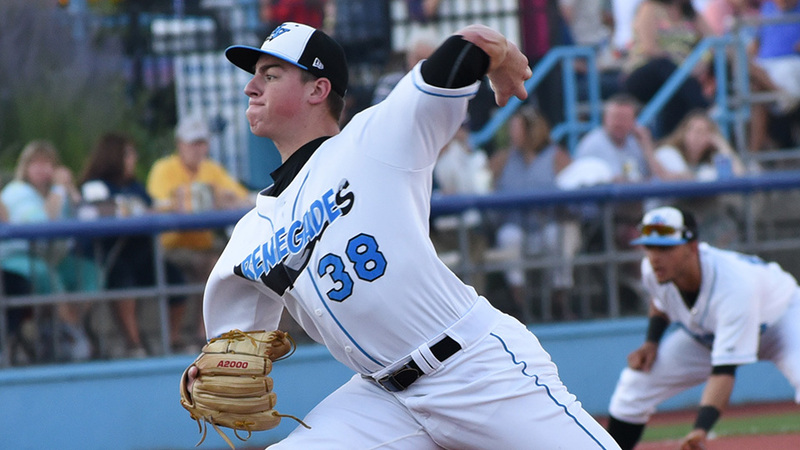 The Tampa Bay Rays have decided to start two-way player Brendan McKay in the Midwest League this season. That means the Bowling Green Hot Rods will have their own version of Shohei Ohtani this year. McKay was drafted by the Rays with last year’s No. 4 overall pick. He made his pro debut last year with the Hudson Valley Renegades of the short-season New York-Penn League. He made six starts as a pitcher, going 1-0 with a 1.80 ERA, 21 strikeouts and five walks in 20 innings. He also made 21 starts at first base, and batted .232 with 4 HR and 22 RBI. Both Baseball America and MLB Pipeline have him ranked as the No. 3 Rays prospect. Read my longer post about “Two-way McKay” here on Patreon. This entry was posted in Bowling Green Hot Rods, Hudson Valley Renegades, Midwest League, New York-Penn League. Bookmark the permalink.